The Department of Economics at Istanbul Technical University is organizing an International Workshop in Fair Division. The workshop will be held on February 9, 2019, at the Management Faculty of Istanbul Technical University. This workshop aims to bring scholars in the area of Fair Division to present and discuss their current research and to foster interaction and collaboration on new research perspectives. 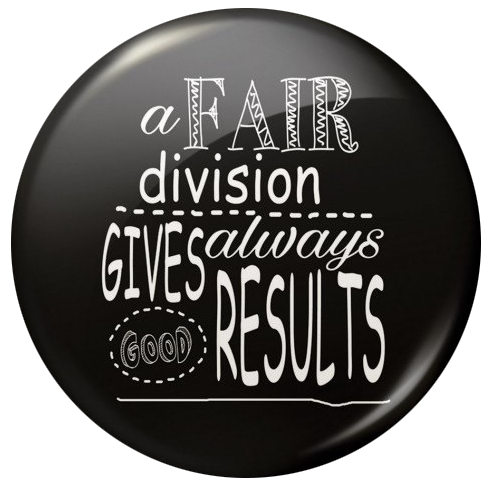 Fair Division is an active field of research that considers to allocate scarce resources and to design social institutions. Recently, it has become a subject of interdisciplinary research at the interface of Economics, Mathematics, and Computer Science with successful real-life applications including divorce and inheritance settlements, border settlements in international disputes, allocation of mineral riches in the ocean bed, greenhouse gas reductions, bandwidth and memory allocation in networks, cost sharing in communication networks and many others. Abstract: We consider a task-allocation problem in which agents differ in terms of their seniority and their experience with tasks. We introduce two mechanism classes: the feasibility augmented serial dictatorship (FSD) and the minimally reluctant efficient priority (MREP). The first class is efficient, senior-optimal, and strategy-proof. However, a disadvantage of this class is that a greater number of agents can be assigned to tasks that they unwillingly perform — we call such tasks “unwillingly acceptable” — than what is actually achievable. We say that a mechanism is minimally reluctant if it always minimizes the number agents who are matched with their unwillingly acceptable tasks. The second mechanism class is minimally reluctant, efficient, and constrained senior-optimal — senior-optimal in the class of minimally reluctant mechanisms. No minimally reluctant mechanism is strategy-proof, which implies that no MREP mechanism is strategy-proof. Each MREP mechanism has a unique equilibrium outcome that is equivalent to the truthtelling outcome of a particular FSD mechanism. Hence, in equilibrium, each MREP mechanism is efficient, senior-optimal, but not minimally reluctant. Nevertheless, no mechanism is minimally reluctant in equilibrium either. Abstract: We consider an ultimatum-game setup, which has two key non-standard features: (1) The responder has an initial fallback position, which is her private information (except for the benchmark complete-information case), and (2) she can improve her initial fallback position further by means of costly investment, which does not contribute to the joint surplus. There are two sources of inefficiency in our model: disagreement and the deadweight-loss investment. The proposer ends up either making a counter offer after finding out the responder's type and her outside offer or a particular preemptive offer before her investment and before the uncertainty of about her type is not resolved (except for the incomplete-information case). Thus, any preemptive offer aims for agreement before investment, which, if accepted, avoids the inefficiency due to deadweight-loss investment; if rejected, it always leads to inefficiency. A counter offer, however, always guarantees agreement, but only after investment cost is incurred, and is thus inefficient. Along with the complete-information case, we also consider the no- and noisy-information cases. We find that in the complete-information case the unique offer is a preemptive offer which always achieves efficiency by also leads to agreement, since the responder's type is common knowledge. In the other cases, if the proposer's (prior or posterior) belief about the responder's type is not precise enough, he might prefer to wait until after the investment of the responder to make her a counter offer. It turns out that more precise information reduces both types of inefficiency by leading to preemptive offers which are accepted with higher probability. We also show that our results are robust to various extensions such as risk aversion by players, multiple offers by the proposer, continuum of responder types, and type-dependent investment costs. Abstract: In this paper, we analyze the re-placement mechanism used in the Examination of Specialty in Medicine in Turkey, following the re-calculation of the scores. We observe that the preservation of vested interests, together with the limited capacities lead to violation of fairness. Furthermore, we show that the current mechanism create redundant capacities at programs, even to those doctors, who would not be accepted by the programs if the score calculation had been correct in the beginning. In line with preventing the creation of those unnecessary capacities, we define a new notion of fairness, capacity respecting fairness (QRF), such that a candidate, who is ranked within the original capacity of a program among the application pool is never rejected. We also define QRF-Adjusted Modified Choice Function for programs, and show that it is the choice function, which minimizes the deviation from the target capacities whilst preserving the vested interests. Furthermore, we also show that the QRF-Adjusted Modified Choice Function induced by the deferred acceptance algorithm, is strategy-proof and minimizes the deviation of the outcome from the target capacities of the programs. Abstract: We consider the fair division of a set of indivisible goods where each agent can receive more than one, and monetary transfers are allowed. We show in case there are three (four) or more goods that no solution is simultaneously efficient and population monotonic (PM) on the superadditive (subadditive) Cartesian product preference domain. Moreover, the Shapley solution is not PM even on the submodular domain. For the two-good case, Shapley solution and the constrained egalitarian solution are PM on the subadditive preference domain. We also define hybrid solutions that are efficient and PM on the entire monotone preference domain. The hybrid Shapley solution and the hybrid constrained egalitarian solution are two examples of such solutions. Abstract: Bankruptcy rules are considered in a model where individual claims are state contingent. A rule must allocate shares before uncertainty resolves. Within a wide class, we characterize when does the rule have the ex-ante form in terms of the way that the rule processes inherent uncertainty in the individual claims. The key property is: No Penalty for Risk. It says that the rule does not penalize an individual in a situation that differs from another only in terms of this individual’s claim in that the former situation has a risky version of the riskless claim in the latter situation. For the ex-post characterization, the key property is: Indifference to Independence. It says that if individuals are risk neutral then the rule makes the individual indifferent between any bankruptcy problem and a corresponding one which is an independent combination of gamble, with each gamble being a randomization over an “ex-post” problem based on the statewise specification of the original problem and another problem which has zero resource such that the probability on the first is equal to the probability of realization of the state to which the “ex-post” problem corresponds to. Finally, within the specified class, a comparative static result is established which leads to the point that ex-ante rules may be normatively more appealing on being proposed to individuals when the level of the resource is low enough. Abstract: Same economic actors periodically bargain over the division of resources. Labor-management, budget allocation, and contract negotiations are some examples. For situations that involve (i) periodic negotiations (e.g., contract negotiations), (ii) multiple, competing reference points justified by equity, precedents, or equality, and (iii) exogenously / stochastically varying stakes, we ask the following questions: (a) Should economic actors bargain over the whole pie or should they bargain over the amount of change with respect to the old pie size? Is there a systematic difference in bargaining outcomes? (i.e., does narrow or large bracketing make a difference?) and (b) Do subjective entitlements and bargaining outcomes differ when negotiations are made over losses rather than gains? In order to answer these questions, conduct a laboratory experiment with a 2x2, between subjects design, where the size of a bargaining pie stochastically changes. We observe systematic effects of our manipulations on subjective entitlements and agreements. Most interestingly, narrow bracketing leads to agreements even more asymmetric than what the induced reference point implies; and it favors those players who were already favored by the reference point present in the environment. We see that the treatment manipulation first influences bargainers’ subjective entitlements, and then transmitted to subjects’ first proposals, and then naturally influences agreements. Importantly, the exposure to narrow-large bracketing is not identical across subjects in the same pair. Abstract: In this paper we propose the k-lateral value that accounts for simultaneous k-lateral group interactions among players. The Shapley like values implicitly assume that players are independent in deciding to leave or join a coalition. However in many real life situations, players are likely to be influenced by their peers in making such decisions. Thus group interactions and group contributions are also important in determining players’ shares in the total resource they generate. The k-lateral value accounts for both egalitarianism and marginal productivity of the players and thus it is a member of the class of solidarity values. We give a couple of characterizations of the k-lateral value with standard and intuitive axioms. Abstract: Two players play a symmetric game in which each player’s pure actions are cooperate and don’t cooperate. The realized actions determine a bargaining problem. The greater the number of cooperators (it can be zero, one, or two), the greater is the available surplus in that problem. However, don’t cooperate secures a high disagreement payoff, hence there is tradeoff between the two actions. In the realized bargaining problem, payoffs are distributed according to an exogenously given bargaining solution. I study the welfare-maximizing Nash equilibrium of this game. The equilibrium cooperation probability (alternatively, the equilibrium welfare) is decreasing in the bargaining solution’s disagreement-sensitivity. Thus, to obtain a ranking of solutions in terms of the cooperation/welfare they induce, it is enough to rank them in terms of disagreement-sensitivity. I describe two classes of problems on which the Nash and Kalai-Smorodinsky solutions are ranked in opposite ways. Abstract: We develop a framework for analyzing a school choice environment where each student may simultaneously satisfy multiple quota criteria, such as race and gender. In our environment, schools primarily care about filling as many quota seats as possible and then care about maximizing student quality. Students have weak preferences over their admitted status at a school, allowing students to either prefer one admitted status to another or be indifferent between two admitted statuses. By considering the sets of contracts that students are indifferent between as the main object in the school's choice function, we present a method for analyzing the overlapping quota problem. Our procedure can be nested into a cumulative offer process and has appealing computational properties.